Neuropathy is a disorder that takes place when nerves of the peripheral nervous system are damaged. In diabetic patients the majority of these cases occur in the peripheral limbs, with more complications affecting neuropathy in feet than in the upper body extremities. 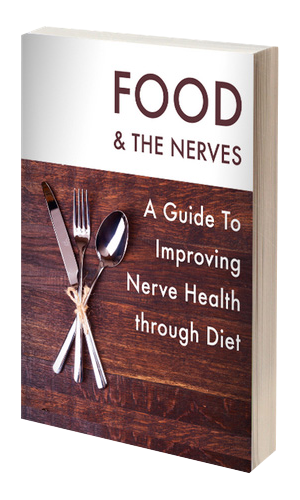 The nerve pain is often triggered when the sugar levels are not controlled properly and more specifically when the sugar levels skyrocket. The symptoms of neuropathy can include tingling or burning, loss of sensation, sharp or jabbing electric-like pain, sensitivity to touch, and muscle weakness. In the case of diabetic patients the loss of sensation in the feet is a particular risk because the patient may not be aware of possible wounds that could become infected and cause further complications. Studies have shown that at least fifty percent of people with diabetes will develop some form of neuropathy. Therefore, prevention is the key to staying on top of the problems associated with neuropathy in feet. Obviously the best form of prevention in diabetic patients is to control the sugar levels and keep them regulated; this helps to keep the underlying cause of the neuropathy in feet under control. Once the sugar levels are kept at constant levels the next step a diabetic patient needs to take is to make daily foot evaluations a priority. Daily cleaning, examination, and especially proper drying of the feet is vital in foot care for the diabetic patient. Good communication between the diabetic patient and their physician is also of importance so that preventative care can take place before any further damage can take place. Beyond the proper preventative measures mentioned, it is also important to note that Physicians can use medication to treat neuropathy in feet. Some of these medications can include pain killers or other types of prescriptions, which help to rid the patient of the painful symptoms of the neuropathy. Proper diet and exercise can aid in the increase of oxygen flow to the extremities, which helps to keep the foot tissue healthy. If the patient is a smoker and can stop smoking, this will also help increase blood flow and oxygen delivery to the extremities which allows wounds to heal more quickly. Of course just as with any medical condition alternative therapies also exist to aid in treatment of neuropathy in feet, however, treatment of the underlying causes of the neuropathy will always be the best solution to the pain that diabetic patients can experience in their feet.